24 In. W X 82 In. 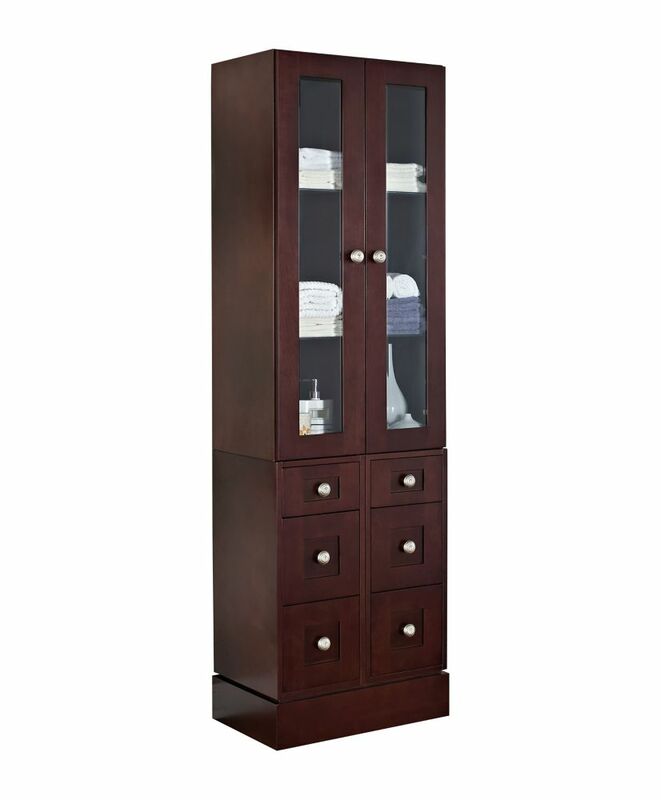 H Transitional Cherry Wood-Veneer Linen Tower In Coffee - Chrome This transitional linen tower belongs to the exquisite Tiffany design series. It features a rectangle shape. This linen tower is designed to be installed as an floor mount linen tower. It is constructed with cherry wood-veneer. This linen tower comes with a lacquer-stain finish in Coffee color.